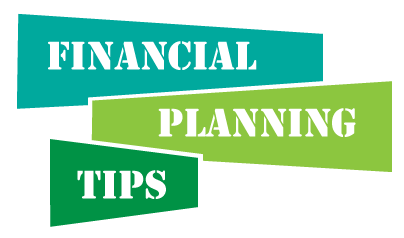 Before you can get a handle of your finances, you must first need to understand where you’re at financially. One way to do that is to create budget. You’ll be hitting two birds with one stone by doing so. You’ll have a clear picture of what’s coming in and what’s going out financially. Just make sure your budget is realistic and doable. Otherwise, you’re only setting yourself up for failure. One of the first things to focus on when creating your budget is the savings portion. You’ve probably heard of experts saying to pay yourself first and you totally should follow the reasonable advice. Pay yourself first by setting aside a certain percentage of your income for savings. You can set aside 5 to 10% of your income to savings and budget what’s left for expenses. Savings should be the first deduction off your income every time. Soon enough, the habit will be ingrained as part of your lifestyle and you’ll be reaping rewards for the rest of your life. When you’re just starting out, tracking your expenses up to the last cent really helps. Buy a handy notebook and pen you can carry around or download an app that lets you record expenses in a pinch. By keeping track of your expenses, you are consciously focusing on your finances. By the end of the month, you’ll see areas where you’re overspending and in most cases you can still curb in the next month. Don’t forget to set financial goals. It doesn’t have to be big, life-changing financial goals. Because you’re just starting out, begin with simple financial goals like saving for a weekend trip, a concert or other things that’s important for you. The key is to be as realistic with your goals as possible to guarantee success. These little financial successes will eventually help you achieve bigger financial goals in the future. Whether you’re grocery shopping, eating in a restaurant or buying medicines, you should use cash whenever possible. Buying in cash lets you track your expenses more efficiently and you’ll have a better sense of how you spend money with cash as opposed to just swiping your credit cards. Credit cards are not bad per se, it’s just wiser to use cash especially if you’re a beginner in personal finance. You’ll also want to steer clear from bad debt at this point in your personal finance journey. Bad debts are debts that do not give you anything back in return only interest rates. Until you’ve developed healthy financial habits, you should avoid borrowing money just because you can. Don’t stop learning. One of the most surefire ways to ensure personal finance success is to embark on a journey of continuous and constant learning. Read books about personal finance, seek expert advice and if you do commit mistakes, learn from them. If you need professional help, enlist an expert to guide you make the right financial decisions. You won’t always get it right but if your mindset is set on learning, you’re on the right track to financial success.